Click the More Information links for a full list of Hotels and Pubs around OkeRAIL Forum & CIC or in the Okehampton area. You will see location maps, Google Street View, photos and links to their websites. If you want to see more reviews, including the not so good ones, just click the More buttons. Took a corporate group there for the England World Cup semi after a day's walking on Dartmoor. The staff couldn't have been friendlier or provided better service. Absolutely fantastic. Thank you. First time attending since the place is under new management. The service was quick. The restaurant was clean and tidy and well kept and the table linen beautifully crisp and white. The carvery was hot and fresh and very tasty. The grounda were also very beautiful. I would recommend this place. In terms of the range of sports facilities, there's no better facility in the UK. I've been coming here since I was five years old. It was always my favourite holiday, and I was always asking my parents when we could come back. Now my son who has been coming here since three constantly begs me to come back! The rooms are clean and comfortable. The food is buffet style and of a good quality. But it's the choice of activities that you come for. Very impressed with the hotels location. Dartmoor is stunning. Walking round and sat in summer house we felt it was so relaxing. Lots of parking, staff we meet were very nice. We'd go there for a holiday. Map of Local Accommodation around Okehampton plus everything you need to know about the area! Ideally located for a holiday in Devon, situated just outside of Okehampton. 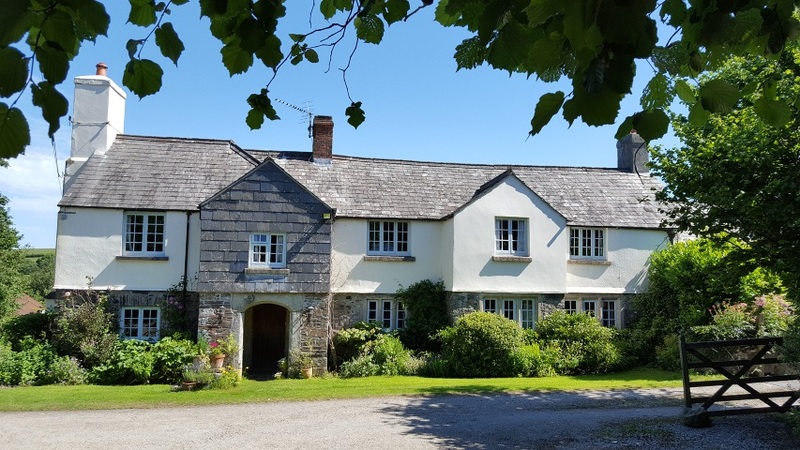 Within easy reach of various beaches on both the east and west coast, Exmoor and Dartmoor National Parks to the North and South and city trips to Exeter and Plymouth. Okehampton, only a few minutes drive has plenty of shops for groceries and various excellent takeaways & places to eat out. Webber Hill Farm is a peaceful haven where you can get away from it all and just relax. Moonseeker Cottage itself is a delight. It's open plan with stairs in the middle to break it up. It's nicely decorated and beautifully clean and well presented. The beds are extremely comfortable (so much so, I asked Nicky for all the info on them.... now to convince hubby!) and the en-suites have lovely roomy showers. The kitchen is well stocked with equipment and there are plenty of books and dvds to keep you entertained should you wish. It's extremely dog friendly with tiled floors for easy cleaning along with a wash down area and tap outside the front door to rinse off any muddy paws (or welly boots), barriers that can be closed to keep your dogs from going upstairs or climbing on furniture at night, a nice size enclosed garden, dog bowls, blanket and a treat on arrival. It is by far the best holiday cottage that we have ever stayed in! From the excellent location, which gives you access to do as much or as little as you want; to the superb turnout of the cottage & all it's facilities and the genuinely warm welcome we received throughout our stay from Nicky. Moonseeker Cottage is the best in every aspect for us and we can't wait to return. You can find excellent very well priced accommodation around Okehampton using Airbnb! Very comfy room and bed. Lovely host. Lots of extras such as ear plugs supplied and small air con units which was a nice touch. Good information pack. The breakfast was awesome. Right in the centre of Okehampton. Perfect location for route 27 cycle trail and walking on the high peaks of Dartmoor. Youth Hostels have very much come of age. Gone are the days of iron beds and communal wash basins. Click below for a Youth Hostel near in Okehampton. You will be pleasently surprised at what is one offer.